Founder's Packs are a thing of the past for Revelation Online, it seems. My.com has just released the new Collector Packs for everyone who wants to look stylish and stunning – there are three options to choose from: Inventor Pack ($21.99 / €19.99), Wild Wind Pack ($59.99 / €54.99) and Deluxe Collector Pack ($69.99 / €64.99). All of the packs give you some Premium service time (30, 60 and 90-days respectively), with the Inventor Pack granting you the coveted Inventor title and a stylish outfit, among other things. The Wild Wind Pack gets you the graceful Silvermoon Wings, the Wildwind Outfit and a graceful majestic Moondrinker Deer mount, to name just a few. Finally, the Deluxe Collector Pack takes all the things from the Inventor and Wild Wind Packs, stirs them and offers the full package at a discounted price. 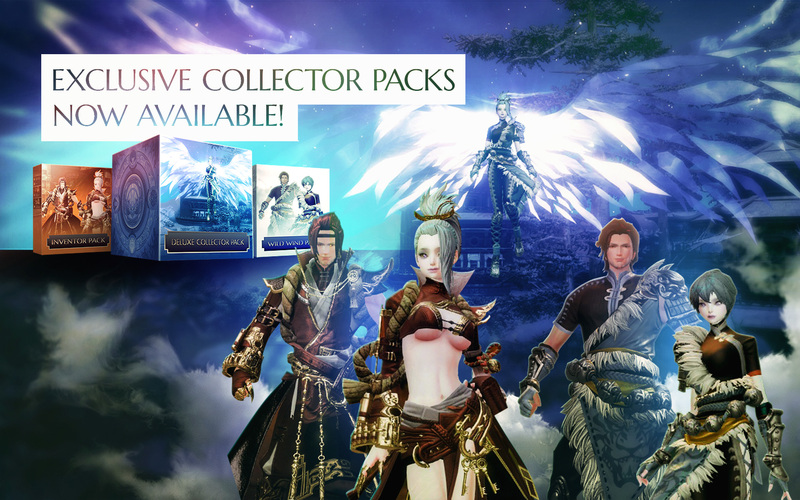 If you're a Revelation Online fan or a new player wanting to try this MMORPG, then this could be an interesting offer.